0 Phase 2 making progress! 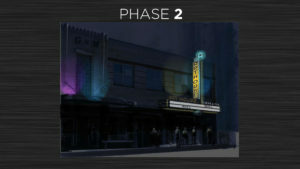 We are a HUGE step closer to seeing Art House Phase 2 become a reality! With the City Council’s decision to support our project with $350,000 in TIF reimbursement we feel the support of our city and we couldn’t be more proud. Thank you City Council and thank you Billings! Can you help us raise the funds we need? Can you spare $10 a month? Maybe $20 a month? All you have to do is hit the Donate tab at the top of this page to join the Art House story and make an impact! What if you can’t spare any extra funds but want to help Art House? Or maybe you are already giving what you can and STILL want to do more? Get this….YOU CAN!! Head to our Facebook page and scroll down until you reach “Create A Fundraiser”. It’s a way for you to raise funds for us without the stress of stretching your pocket book too thin! We so appreciate all of our donors and supporters! We look forward to what is coming next! And we are still working on purchasing the building with hopes of that goal being reached by October.